Home / News / Community / Welcome Muffin Break Kingaroy! 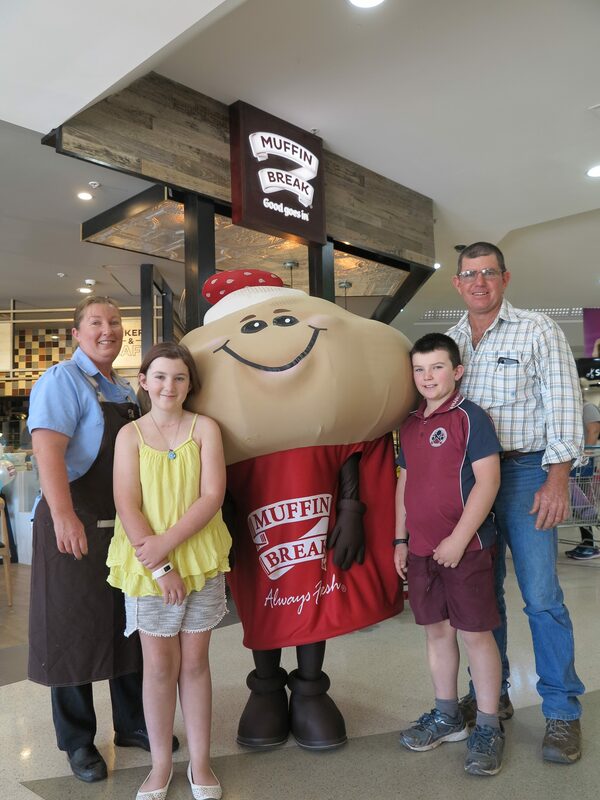 Muffin Break Kingaroy officially opened their doors on the morning of 16th August. Franchise owner, Donna Ryan, was happy to finally see her café open to the public. “People have been queuing up out the door all morning. I’m excited to serve the local our award-winning coffee and freshly baked muffins, cakes and bake goods”, Donna said. The store was officiated with the Ribbon Cutting Ceremony by Mayor, Keith Campbell, the centre manager Chris O’Rourke, and Donna and her family. There were also the ‘Free Coffee Hour’ to celebrate the grand opening of the café. If you’re out and about in Kingaroy, please stop by and say hi to the team.